Commercial Truck/Bus. Medium-Duty Truck Premium Open Shoulder Drive tire Ideal for Line-Haul and Regional Applications. Commercial Truck/Bus. 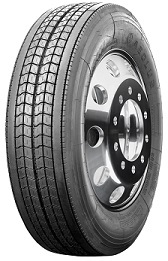 Medium-Duty Truck All-Position Steer / Trailer Position tire Designed for Local Delivery and Short Distance Applications. Commercial Truck/Bus. Medium-Duty Truck On/Off Road Mixed Service All-Position Rib tire. Suitable for Regional Trucks, Dump Trucks, Mix Concrete Trucks, Refuse Trucks and Logging Trucks. Commercial Truck/Bus. SmartWay Verified Medium-Duty Truck Premium Line Haul Trailer Position tire with Long Tread Life in Free Rolling Trailer Wheel Positions. Suitable for Long Distance Trucks, Regional Trucks, Freight Trucks and Trailers.